Where do you buy your favorite hair products? At the salon? Drug store or discount market? Many people have the impression that the professional brand your salon carries can be found for a lower price at stores like Target or Walmart. I wanted to do some comparison shopping myself so I did a little research and the results were surprising. For this post, I am focusing on salon professional products. These are the products that are typically sold in salons by salon professionals. Redken, TIGI, Matrix, and American Crew are a few examples. Professional products typically provide better results for any hair type that is not healthy, un-colored, medium weight hair. For this process, I visited a variety of stores. These include Bartell’s (drug store), Walgreen’s (drug store), Target, Walmart, Safeway (grocery) and Ulta (a mega beauty supply). At Fix Salon, we use Redken products exclusively, therefore, this was the brand I looked for, checking both availability and price. What did I find? Ulta was the only location that carried the entire Redken line. All other locations carried bits and pieces of the line. Legally, salon professional products can only be sold by licensed professionals in salons. This means that the location has to have a salon in order for them to carry the professional lines. 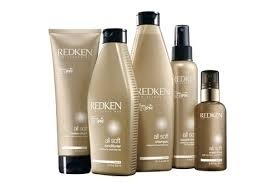 Ulta does have a salon, so it makes sense that they carry Redken as well as many other brands. If a store does not have a salon, yet you see professional products on their shelves, it means it was diverted to them. Diversion is a hot topic in the salon world. When I visited Walmart, the only Redken product on their shelf was All Soft Shampoo and Conditioner. When a store sells diverted product, they do not necessarily have access to the entire line and there is never any consistency to which items they carry. They are simply picking up what “fell off the truck” from their diversion retailer. In addition to low options and inconsistent inventory, I also found that almost all products carried were discontinued Redken packaging. Sometimes the products were outdated by as much as 8 years! While it’s hard to pinpoint an expiration date on hair products, most manufacturers will guarantee the effectiveness for 2 years. When I see hair gel that is 8 years old on a shelf, I have to wonder where has it been? Was it stored in a temperature controlled warehouse or has it been collecting dust in a warm storage facility somewhere. In addition to incomplete and outdated product lines, the most impactful discovery of my comparison shopping was the price of the products. I consistently found the prices to be more than the manufactures suggested retail. Always. The range was anywhere from $1 to $5 more, and typically $3-$5 dollars more. When you shop for your hair products outside of the salon, you are spending more money for a potentially inferior quality product. In addition to higher prices and expired products, you also add the guesswork of trying to figure out what your hair really needs. Why not let your stylist guide you to the product that will give your the best performance for your hair? Otherwise, you end up wasting money on buying the wrong products that eventually end up collecting dust in your bathroom. As an added bonus when you purchase your hair products from your salon you are supporting that business and stylists. Many times the revenue generated from retail sales go to improvements to the salon, which make your visit more pleasant, or to continuing education for your stylist, which makes your hair look better. Your stylist will guarantee your purchase and you will have more success in getting the end result you desire! This entry was posted in Beauty Tools, Hair Style and tagged hair products cost more at walmart, redken products, why buy products at salon by Mandy McCullough. Bookmark the permalink.